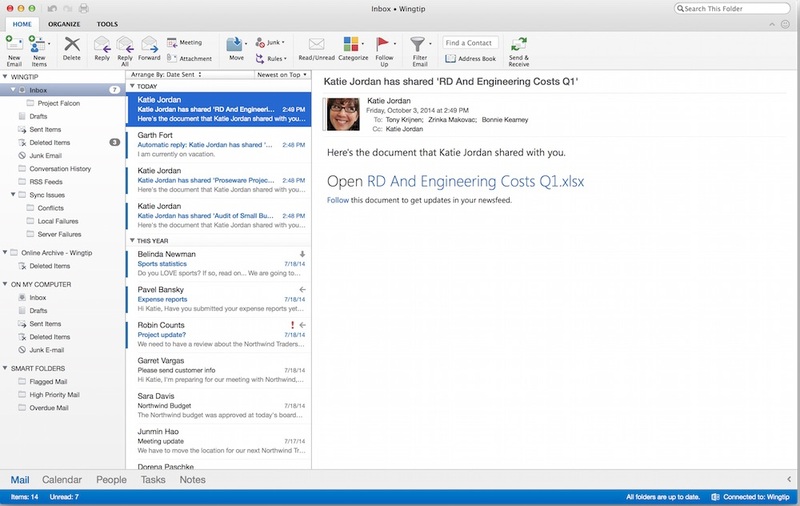 Microsoft Outlook 15.6 – a new Outlook for Mac. Online Archive support so you can browse and search your archive mailbox—Exchange Online or on-premises. Master Category List, enabling you to access category lists and sync between Outlook clients—Mac, OWA, and Win. Push mail support, an overall superior syncing performance, and more improvements to Exchange Web Services. Enhanced support for email signatures, weather-in-calendar displaying three-day forecast, and HTML5 add-ons to extend Outlook capabilities. Pre Cracked, does not require a 365 Subscription to use it. Next story Toast Titanium 12.1 – The ultimate media toolkit; disc burning, video conversion and more. Previous story VideoMark 2.2 – Easily add watermarks to your videos.